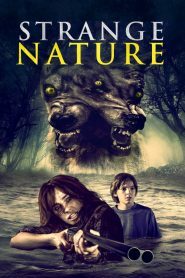 Strange Nature, The first film to expose unsolved wildlife deformity outbreaks and where they may lead. Based on a true unsolved ecological mystery, thousands of hideously deformed frogs have turned up in the waters of Minnesota. As seen through the eyes of a one-hit wonder single-mother and her 11-year old son, a small town struggles with the unknown when the deadly mutations move beyond the ponds.